As you may be aware we have recently added to the Daddoo brood. 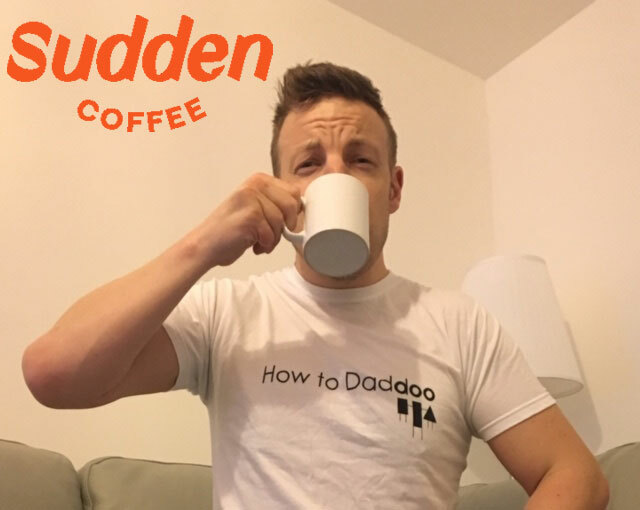 It was then only right we at How to Daddoo updated with a new logo too. It’s only taken me 7-months to get around to doing which, for me, is impressive. After putting up the Bat-Signal to the world’s top marketing and design companies, I decided to let my wife do it. So here’s introducing our new and improved logo. We think you’ll be amazed at how different it is! See if you can spot the difference…**drum roll**…. It only felt right to depict our son on the logo. When Daniel came along, one of the trickiest things about having two children is sharing your attention equally. I even began questioning trivial things such as posting an equal amount of pictures on my Insta feed of both the kids. He’ll probably never notice but I’m doing it all the same. It was important to me for the logo to truly reflect our current family dynamic. I did toy with the idea of steam lines coming from my head to represent my stuggles with one child, never mind two! Love the new logo and amazed you go around to it just seven months after your son was born!